INSPIRED IDEAS. EXTRAORDINARY EXECUTION. MARKET MOMENTUM. For 35 years, BG&A has been working hard to support clients engaged in industries targeting Boomers, ranging from tourism and online communities to trade associations and wellness. This website presents representative case studies covering advertising, sales promotions, business collateral, and direct marketing. Here you’ll discover some provocative business solutions that have delighted our clients, their constituents and customers … for a generation. 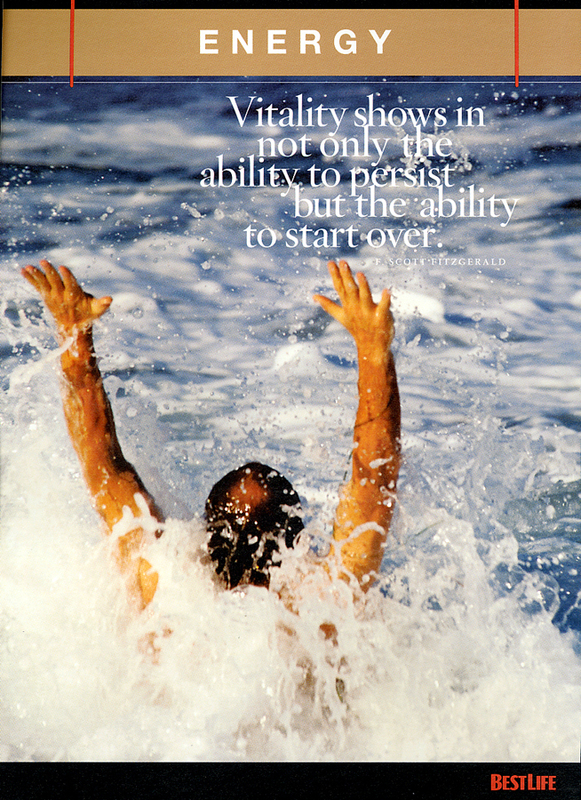 Since publication of Brent Green’s influential Marketing to Leading-Edge Baby Boomers, numerous companies have turned to BG&A for help masterminding their messaging, marketing, advertising and direct marketing strategies targeting Baby Boomers and 50+ consumers. As a popular keynote speaker about Baby Boomer marketing and advertising, Brent has won plaudits from audiences throughout the U.S. and Europe; he is Google’s top-rated Boomer speaker. How is this generation changing business, marketing, aging, and the future? How has Boomer Reinvention become Generation Reinvention? For provocative ongoing discussions about Boomers and business, visit Brent Green’s blog Boomers, with over 100,000 words of thought-leading content. Brent Green published the first edition of Marketing to Leading-Edge Baby Boomers years ahead of a rush of new books about Baby Boomer marketing and advertising. This influential, thought-leading book provides a definitive. evergreen overview of the Boomer mindset, plus tested strategies for marketing, advertising, and sales promotions. 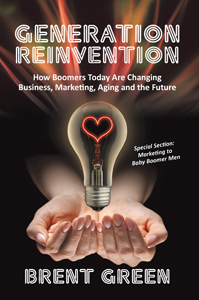 Generation Reinvention presents an enjoyable and well-researched analysis of Baby Boomer business opportunities awaiting farsighted companies and organizations, with an unprecedented special section about marketing to Baby Boomer men. Eight million Americans will lose a family member this year. 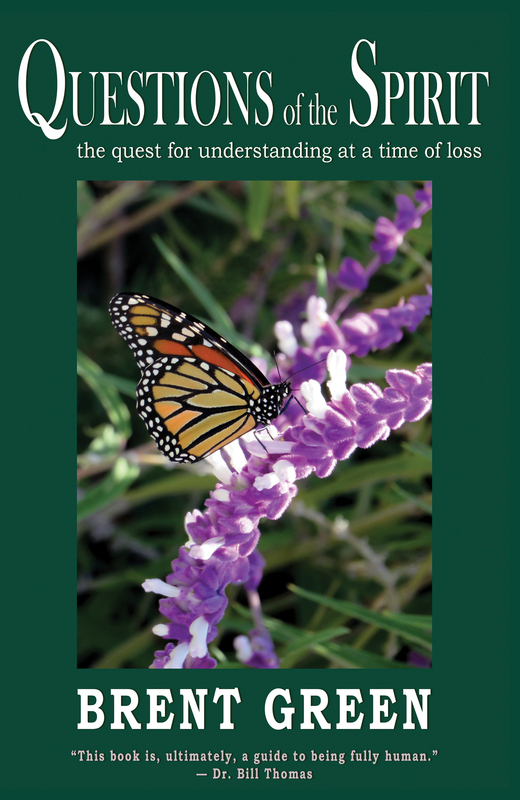 Now mourners have a caring hand to hold, a support group in a book. Questions of the Spirit, a new grief book by author and generational expert Brent Green, guides readers through an uplifting journey of self-discovery. Each of eighteen chapters explores a significant question about mortal existence, bereavement, and life’s most difficult challenges.